Anybody good at using HTML? 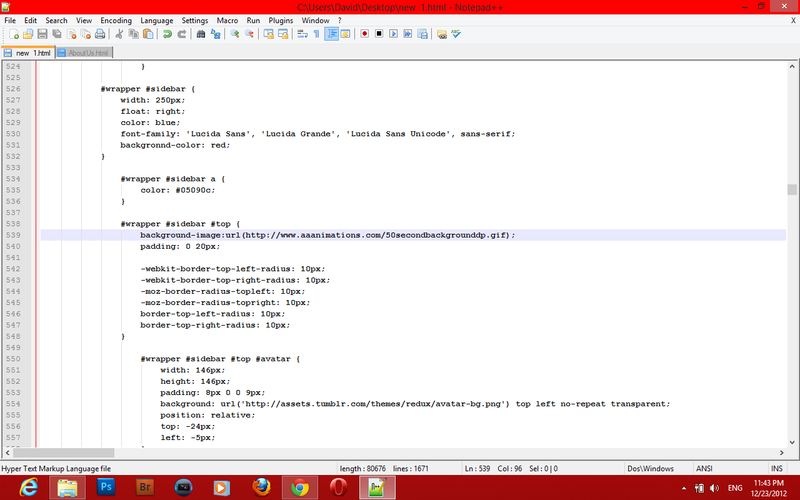 Im trying to customize my Tumblr Page and I need some help. Thanks. I wanna know how to change my side bars from boring looking to something else & to add in gifs. it depends on which theme you are using, but for the most part you need to find where the sidebar is located in the HTML. "on mine which is a basic layout it was at line 539"
If you want to change your sidebar completely then you'll either have to get a new theme or get a web designer to create a custom sidebar for you. As far as adding additional content to I think that's something on your end.